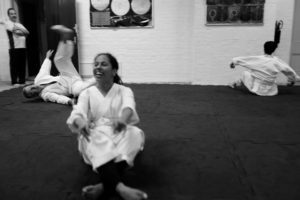 If you’re interested in learning aikido and wondering how to get started, it’s easy – just turn up! Everyone remembers their own first class and would like to help make your first class memorable and enjoyable. You’re welcome at our dojo. Our Basics class is the best option for beginners. The lessons are integrated with the rest of the dojo, with plenty of one-on-one time as well as group activities. You can start at any time, or come on the first Monday of the month if you prefer to start with other people new to the art. Monday 7 to 8 pm. Beginners encouraged. Everyone from the first-timer to the most senior instructor attends Basics class, so there is plenty of help when you need it and no stress. Please arrive 10 to 15 minutes early. See Location for how to get there. As soon as you find your feet you’ll be invited to join other classes. Contact us with any questions. Nothing worth learning comes easily. We recommend you make a serious commitment to attend classes for at least one to two months as the best way to make an informed decision about whether aikido is right for you. We, your instructors and fellow students, also make a commitment to you, to provide a safe, effective and enjoyable learning experience for you. If you have experience in another discipline, including other martial arts, visual and performing arts (especially music) or other structured adult education, you are likely to bring valuable experiences and habits of learning to your exploration of aikido. 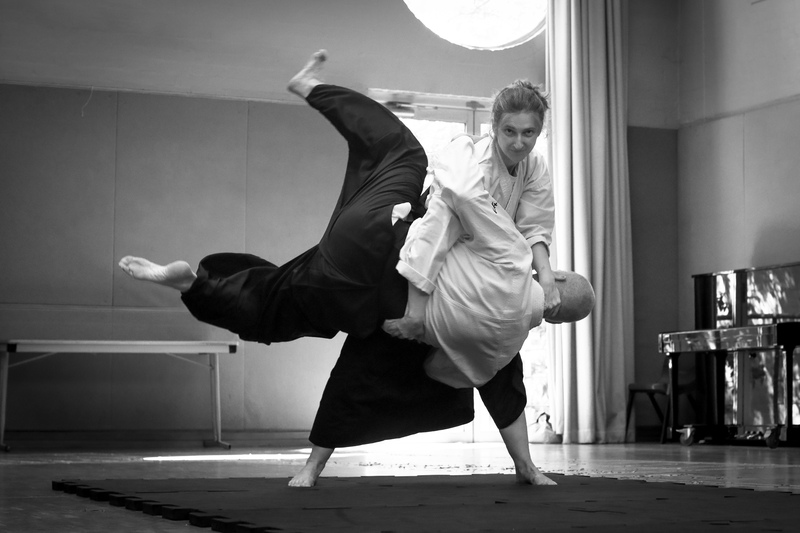 Even though you may have to relearn some things, you will develop more robust aikido as a result. If you have experience in another martial art or are still practising something else you are welcome to train with us. We can’t do your art but you may find a unique insight into your art from the viewpoint of aikido. 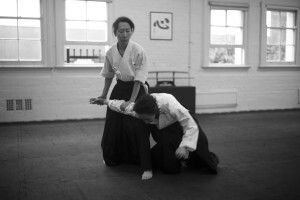 Many of our colleagues and senior students have experience in other arts and enjoy aikido all the more because of it. Although it may be confusing initially, serious students of other arts tend to make really good aikido practitioners over time. Please wear loose comfortable clothing such as track pants and a T-shirt. In time you will need to acquire a training uniform and other accessories and we can help you out with that. While the basic skills of tumbling, foundation techniques and movements are learnt relatively quickly, the art has depths that will keep you excited for many years. You will be encouraged to undertake some home study. Mastering the basics of tumbling and generating relaxed power will accelerate the benefits of training. 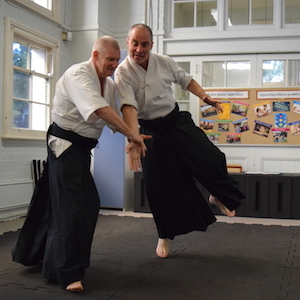 Simple strengthening of your body for aikido movements and learning basic movements to help develop skills more quickly, you are also encouraged to read widely. It’s not onerous or particularly time consuming, just a good way to get ‘up to speed’ and get the most out of our time together. We get a lot of enquiries for beginners classes or courses. Beginners courses work very well as a method of mass instruction but less well at developing expertise and independent learners. Instead we take on a few beginners at a time. 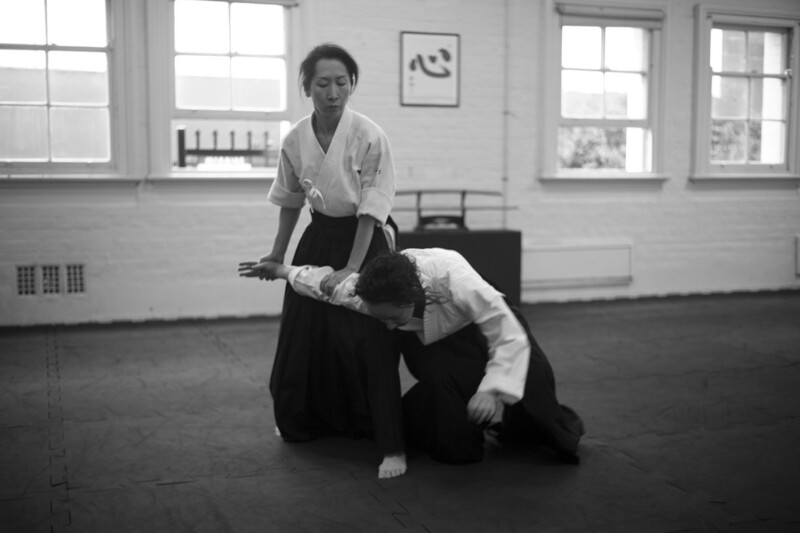 Joining in our regular class as an apprentice means you’ll always be taught by experienced instructors and usually be working with aikido students with at least 5+ yrs experience. This is the traditional way of learning martial arts and has much in common with how Australia’s best athletes are developed.